Mid-year memo: It's mid-July and, depending on your point of view, this year's either half over or there's half-a-year still ahead of us. However you see it, 2016 to date hasn't delivered all that Hollywood was hoping for – at least not yet. After a strong first quarter, the early summer cut into what had been an encouraging lead over last year. Ticket sales through last Sunday are $6.12 billion, up a modest 3 percent versus $5.94 billion a year ago, according to the boxoffice tracking firm comScore. But that lead stands to grow as we move into what could be a strong July driven by brand name franchises and family friendly product. 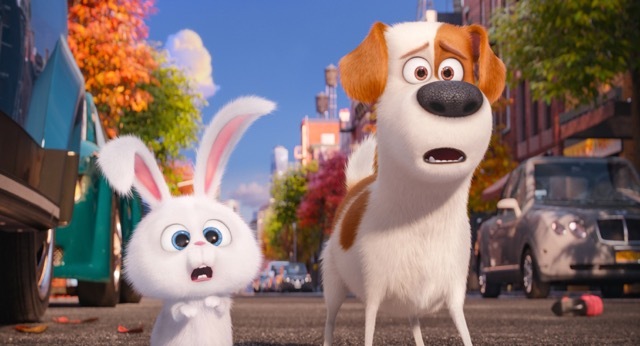 The boxoffice took a decidedly better turn last weekend thanks to Universal Pictures and Illumination Entertainment's $103.2 million first place launch for the PG rated 3D animated family comedy "The Secret Life of Pets." It's the sixth largest animated opening ever, per comScore, whose PostTrak audience survey found that "35 percent of the audience described themselves as a pet owner, the biggest percentage response in the 'I would describe myself as…' category." Directed by Chris Renaud ("Despicable Me," "Despicable Me 2") and co-directed by first-time feature director Yarrow Cheney, it's the first animated feature film for Louis C.K., Eric Stonestreet and Kevin Hart. Last weekend also saw a $16.6 million fourth place opening for 20th Century Fox and Chernin Entertainment's R rated comedy "Mike and Dave Need Wedding Dates" from first time feature director Jake Szymanski. Starring are: Zac Efron, Adam Devine, Anna Kendrick and Aubrey Plaza. Even with "Pets'" outstanding opening, last weekend's boxoffice total of about $216 million was up only about 0.5 percent from $214.97 million this time last year, comScore reported, noting that a year ago "Universal's release of Illumination's 'Minions' enjoyed a stunning $115.7 million debut." Looking at this mid-year's Top Ten grossing films, it's clear that it helps to be: rated PG (five of the 10 were) or PG-13 (four were); exhibited in 3D (eight were); released through Disney (four were); animated (four were); based on comic books or their characters (four were); a remake, sequel or franchise episode (six were); and a post- May 1 opening (five were). (1) Walt Disney Pictures and PIXAR Animation Studios' PG rated 3D animated comedy adventure "Finding Dory" tops the list with $422.6 million. It's from "Finding Nemo" director Andrew Stanton and first time feature director Angus MacLane. "'Finding Dory' has surpassed 'Captain America: Civil War' to become the top film of 2016 at the domestic box office," Disney said Sunday. "'Finding Dory' is the tenth Disney release to surpass $400 million domestically out of 24 films in industry history. It's now the #2 animated release of all time domestically. "'Finding Dory' reached the $600 million mark globally on July 8 and has taken in an estimated $643 million through the weekend. Already one of the biggest films of the year, 'Finding Dory' debuted strongly in Korea this weekend and has numerous major markets still to open, including Mexico, Japan, UK, Italy and Germany." Disney also noted that last weekend it "reached the $5 billion threshold at the global box office in industry record time. This is the second consecutive year Disney has crossed the $5 billion mark, doing so last year for the first time on December 20. Disney crossed $3 billion internationally on July 6 and is nearing $2 billion domestically. Year-to-date estimates through July 10 are: $1.97 billion domestic and $3.05 billion international for a global total of $5.02 billion." 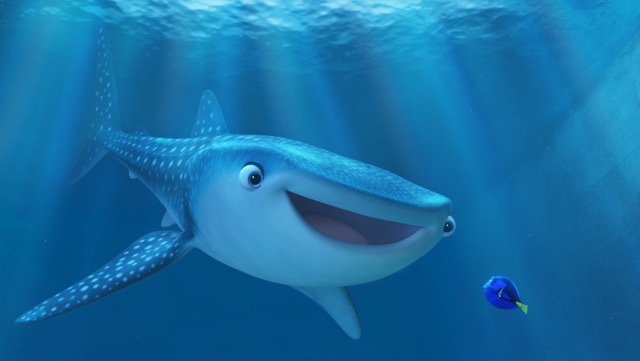 Dory (voiced by Ellen DeGeneres) is living happily in the reef with Nemo (Hayden Rolence) and Marlin (Albert Brooks) when she suddenly remembers she has a family out there who may be looking for her. That sparks a life-changing adventure for the trio across the ocean to California's Marine Life Institute, in an effort to find Dory's parents (Diane Keaton and Eugene Levy). (2) Disney and Marvel's PG-13 rated 3D sci-fi action thriller "Captain America: Civil War" ranks second with $406.2 million. It opened May 6 to $179.1 million. It's from Anthony Russo & Joe Russo, directors of "Captain America: The Winter Soldier." When the government decides to oversee the Avengers, the team splinters into two camps -- one led by Chris Evans as Steve Rogers and Captain America, who wants the Avengers to remain free to safeguard humanity without government interference; and the other following Robert Downey Jr. as Tony Stark and Iron Man in surprising support of government accountability. (3) 20th Century Fox and Marvel Entertainment's R rated action adventure comedy "Deadpool" is third with $363.1 million. It opened Feb. 12 to $132.4 million. It's from first time feature director Tim Miller, whose next film will be "Deadpool 2." "Deadpool," Marvel's first R rated film, tells the origin story of Wade Wilson (Ryan Reynolds), an unconventional Marvel Comics anti-hero who's a former Special Forces operative turned mercenary. Wilson becomes Deadpool after a rogue experiment leaves him with accelerated healing powers. Armed with new abilities and a dark, twisted sense of humor, Deadpool goes after the man who nearly destroyed his life. (4) Walt Disney Pictures' PG rated 3D fantasy adventure "The Jungle Book" is fourth with $360.2 million. It opened Apr. 15 to $103.3 million. It's from Jon Favreau, director of "Iron Man" one and two. Based on Rudyard Kipling's timeless stories and inspired by Disney's classic animated film, "Jungle" is an all-new live-action adventure about Mowgli (newcomer Neel Sethi), a man-cub raised in the jungle by a family of wolves. Mowgli embarks on a journey of self-discovery when he's forced to abandon the only home he's ever known. (5) Walt Disney Pictures' PG rated 3D animated family action adventure "Zootopia" is fifth with $341 million. It opened Mar. 4 to $75.1 million. It's from directors Byron Howard ("Tangled") & Rich Moore ("Wreck-It Ralph"). It's the story of a fugitive con artist fox and a rookie bunny cop who team up to expose a conspiracy. (6) Warner Bros., DC Comics and RatPac Dune Entertainment's PG-13 rated 3D fantasy action adventure "Batman v Superman: Dawn of Justice" is sixth with $330.4 million. It opened Mar. 25 to $166.1 million. It's from "Man of Steel" director Zack Snyder. Fearing the actions of a god-like Super Hero left unchecked, Gotham City's formidable vigilante (Ben Affleck ) takes on Metropolis' modern-day savior (Henry Cavill) while the world assesses what sort of hero it really needs. With Batman and Superman at war, a new threat emerges, putting mankind in greater danger than ever before. (7) 20th Century Fox and Marvel Entertainment's PG-13 rated 3D fantasy action adventure "X-Men: Apocalypse" is seventh with $154.5 million million. It opened May 27 to $65.8 million. It's from "X-Men: Days of Future Past" director Bryan Singer. Apocalypse (Oscar Isaac), the first and most powerful mutant from Marvel's X-Men universe, amassed many other mutants' powers to become immortal and invincible. Awakening after thousands of years and disillusioned with the world, he assembles a team of powerful mutants to cleanse mankind and create a new world order, over which he will reign -- with Earth's fate hanging in the balance. (8) DreamWorks Animation and 20th Century Fox's PG rated 3D animated action adventure "Kung Fu Panda 3" is eighth with $143.5 million. It opened Jan. 29 to $42.3 million. It's from first time feature director Alessandro Carloni and Jennifer Yuh Nelson ("Kung Fu Panda 2"). After Po (voiced by Jack Black) reunites with his long-lost father, Li (Bryan Cranston), they visit a secret panda paradise to meet scores of hilarious new panda characters. But when the supernatural villain Kai (J.K. Simmons) emerges, defeating all of China's kung fu masters, Po must do the impossible and turn a village of clumsy, fun-loving Pandas into the ultimate band of Kung Fu Pandas. (9) Warner Bros., New Line Cinema and Universal's PG-13 comedy "Central Intelligence" is ninth with $108.3 million. It opened June 17 to $35.5 million. It's from "We're the Millers" director Rawson Marshall Thurber. Dwayne Johnson plays Bob, a one-time geek who's now a lethal CIA agent returning for his high school reunion. Bob enlists help on a top-secret case from Calvin (Kevin Hart), a former "big man on campus," who's now an accountant missing his glory days. Before Calvin realizes what he's getting into, Bob's put him in a world of shoot-outs, double-crosses and espionage that could get them both killed. (10) Columbia Pictures and Rovio Entertainment's PG rated 3D animated action comedy "The Angry Birds Movie" is tenth with $105.9 million. It's from first time feature directors Clay Kaytis and Fergal Reilly. The film's island setting is populated entirely by happy, flightless birds – well, almost entirely. 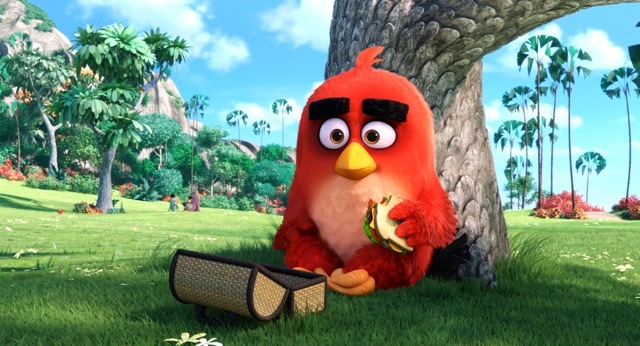 In this paradise, there's Red (voiced by Jason Sudeikis), a bird with a temper problem, and two outsiders -- the very speedy Chuck (Josh Gad) and the very volatile Bomb (Danny McBride). When green piggies suddenly visit the island, it's up to these unlikely outcasts to figure out what the mysterious pigs are up to. $652.3 million and the second top title was "Avengers: Age of Ultron" with $459 million. 2016's biggest hit to date, "Dory," would only have ranked third on 2015's mid-year list with $422.6 million. Hollywood will be hoping for another boxoffice boost next weekend from Columbia and Village Roadshow Pictures' PG-13 rated 3D supernatural comedy "Ghostbusters," opening at about 3,700 theatres. The female-driven franchise reboot is from "Bridesmaids" director Paul Feig and stars Melissa McCarthy, Kristen Wiig, Kate McKinnon, Leslie Jones and Chris Hemsworth. The original male-driven "Ghostbusters" opened June 8, 1984 to $13.6 million and did $242.2 million domestically, which was mega-blockbuster business then.